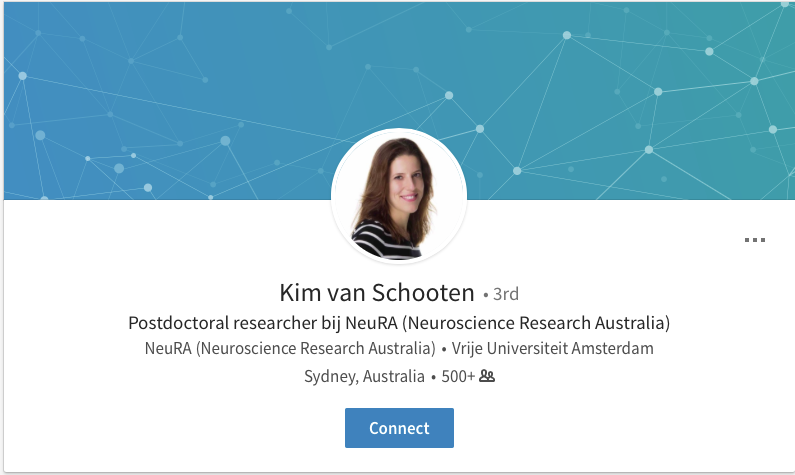 Kim van Schooten is a postdoctoral fellow at NeuRA and conjoint senior lecturer at UNSW supported by the Human Frontier Science Program. 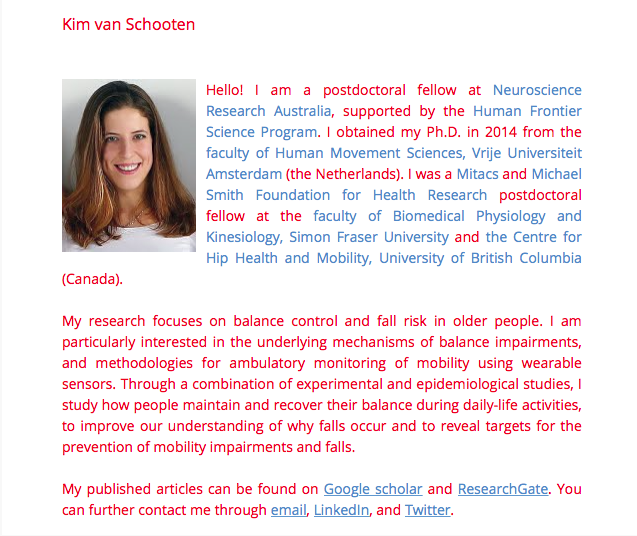 She obtained her Ph.D. in 2014 from the faculty of Human Movement Sciences, Vrije Universiteit Amsterdam (the Netherlands). 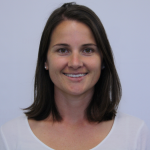 She was a Mitacs & Michael Smith Foundation for Health Research postdoctoral fellow at the faculty of Biomedical Physiology and Kinesiology, Simon Fraser University and the Centre for Hip Health and Mobility, University of British Columbia (Canada). 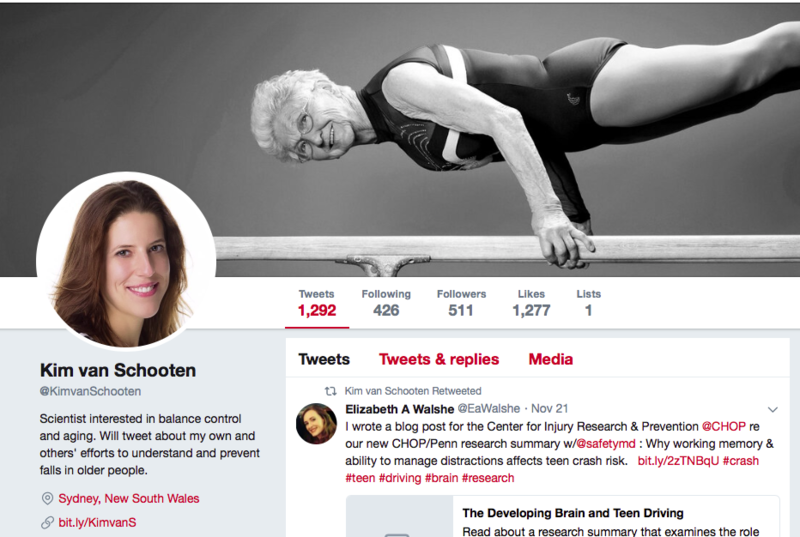 Her research focuses on balance control and fall risk in seniors. 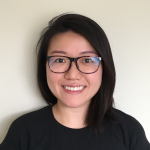 She is particularly interested in the underlying mechanisms of balance impairments, and methodologies for ambulatory monitoring of mobility using wearable sensors. 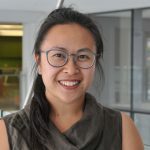 Through a combination of experimental and epidemiological studies, she studies how people maintain and recover balance during daily-life activities, to improve our understanding of why falls occur and to reveal targets for the prevention of mobility impairments and falls. Brain and Brawn in Balance: Disentangling central and peripheral contributions to balance control. Falls are a major health and economic burden in our aging population. Falls occur when we lose our balance and are unable to recover. What limits our ability to maintain and restore balance? This ability is a complex interaction of rapid central processing of accurate sensory information in the brain and rapid peripheral execution of motor responses by the muscles. When one of these processes is impaired, the interplay between brain and muscle functions might allow for compensation or, contrastingly, may limit improvements of balance. This interplay between central and peripheral functions has been strikingly overlooked, while it may underlie balance problems with ageing and disease, and allows for targeted prevention. 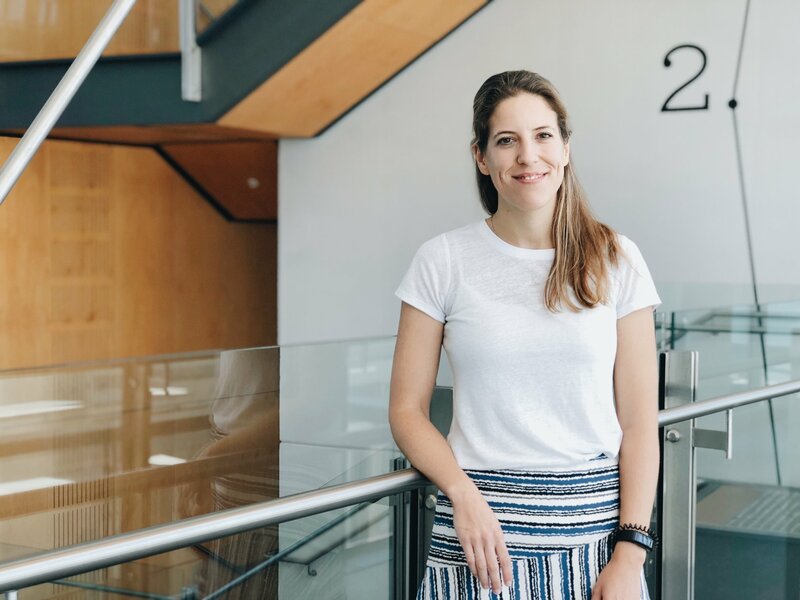 The goal of this project is to determine, through detailed analysis of balance and activity behaviour in daily life, how the interplay of central and peripheral impairments contributes to balance problems. 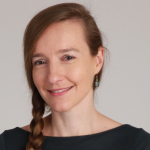 Specifically, the goal of the project will be reached by addressing two major aims: (#1 aim) establish how the interplay of central and peripheral impairments affects balance control, and (#2 aim) identify whether prefrontal brain areas govern this interplay. 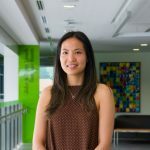 A cutting-edge research study on the effectiveness of a multifaceted program including balance exercise, brain training and cognitive behavioural therapy towards reducing falls. For our next research study, called “StandingTall-Plus”, we have added a cutting-edge brain training program to our original StandingTall program. The main goal is to help people think faster on their feet during daily activities. We are also collaborating with the Black Dog Institute to offer online cognitive behavioural therapy to address depressive thoughts and low mood. Falls in older people are often caused by a concomitant decline across three domains: mobility, cognition and affect; or in other words, across moving – thinking – feeling domains. The aim of this trial is to test a program that is individually tailored to various physical, cognitive and affective aspects (as opposed to medical pathologies) by taking a multifactorial profile approach to fall prevention. The use of technology will ensure that is easily accessible to do in the home and engaging to continue over a long period. A randomised controlled trial will be conducted in 518 community-dwelling older adults at high-risk of falls. All participants will be assessed using a comprehensive test battery of known falls risk factors across physical, cognitive and affective domains. This will then be used to offer each participant a fully tailored program that is suited to their abilities and circumstances. Our primary aim is to reduce the number of falls over a 12-month follow-up period when compared to a health promotion program. We hypothesise that our program will improve balance, cognitive function and mood, increase physical activity levels and reduce falls in older people, when compared to a health promotion program. This trial addresses a key gap in the understanding of falls interventions and application of personalized medicine and will provide direct evidence about the cost and effectiveness of a tailored multifaceted “best-bet” solution. An unsupervised, home-based balance exercise program delivered through a tablet computer to prevent falls in older adults. 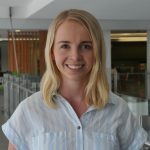 The StandingTall team, led by Associate Professor Kim Delbaere, has worked with over 500 community-dwelling older people since 2015, implementing a home-based balance exercise program delivered through a tablet computer. The program has been a success with our participants, evidenced by unprecedented levels of sustained adherence to prescribed balance exercises over two years. A clinical trial is currently underway to investigate whether StandingTall can prevent falls in older people. The effect of walking speed on quality of gait in older adults. Gait Posture. 2018 09;65():112-116. doi: 30053539. Epub 2017 Jul. The association between age and accelerometry-derived types of habitual daily activity: an observational study over the adult life span in the Netherlands. BMC Public Health. 2018 Jul;18(1):824. doi: 29973173. Epub 2017 Jul. Gait Posture. 2018 Jul;65():112-116. doi: 30053539. Epub 2017 Jul.